This post is also geared toward the very beginner who wants to learn about wildlife photography, it only stands for image censor sensitivity which is basically the amount of light that hits your' camera's image censor before your' shutter closes when you press your shutter button to take a photo, for instance an ISO of say 100 will give you a nice crystal clear photo on a nice sunny day however you must shoot wildlife on their terms which means shooting through fog, shooting on cloudy and overcast days, and at the break of light or near dark at the end of the day at times when you may have to raise the ISO as high as 1600 which will usually be pretty grainy especially the higher up you go in the ISO settings. Now since you have had a few seconds to ponder that idea for a few seconds lets get back to the subject of ISO, I have a couple of more photos too show you for an example of a high ISO these photos were taken in low light conditions, "how low? ",,, very low, in fact they were taken at around 8:00 A:M in the morning before even the sun had it's first cup of coffee :) yes that early, O.K., now that I told my little sun and coffee joke I will get back to being serious, though both of these photos were shot in nearly the same kind of conditions at around the same time of the morning, however you will notice that photo A looks less grainy than photo B however I did use a slower shutter speed in photo A than I did in photo B however the bird in photo B was moving much faster, well in fact he was flying and if I would have used the same slow shutter speed that I used in photo A then photo B would have been nothing but a blur. 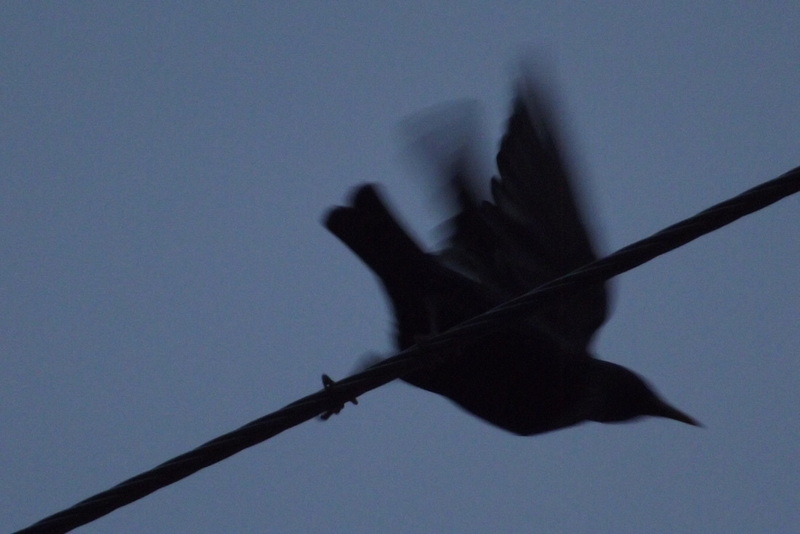 "Photo A" - Shutter Speed=30, and the ISO=1600 this shutter speed was adequate because the bird was not moving fast, and if the ISO was any lower it would have been underexposed "to dark" to be of use. Camera Used- Canon Rebel 350d XT SLR digital camera. "Photo B" - Shutter Speed=100, and the ISO=1600 this shutter speed was adequate because if it was any lower it would have been just a blur. 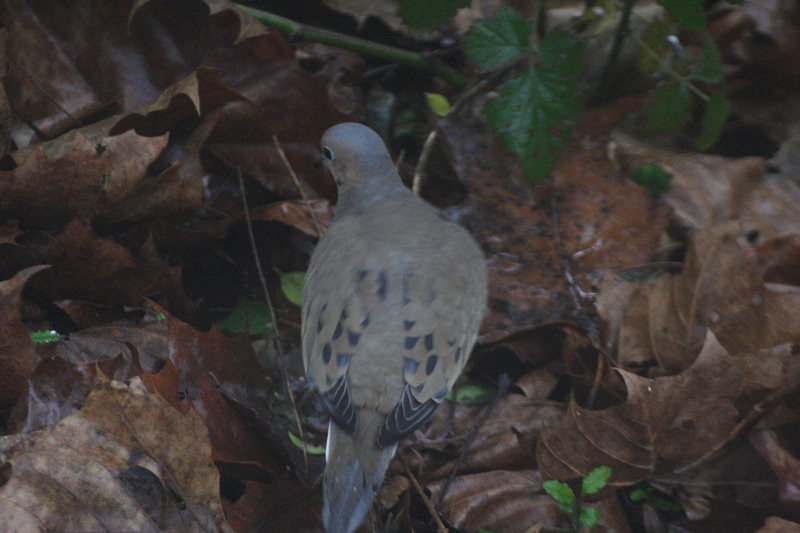 and if the ISO was any lower it would have been underexposed "to dark" to be of use. A little about shutter speed, if you are new to shooting wildlife with your' camera then you need to understand that wildlife rarely sets still and the main advantage too getting a clean photo instead of a blurry one is being able to set a high shutter speed while shooting moving animals, when choosing the proper shutter speed it's good to remember that smaller animals require a faster shutter speed than larger animals because they are more agile and quicker. Shutter speed refers to the amount of time that your' shutter remains open, the longer it is open means the brighter the exposure however this also means that if you or your' subject moves and you are taking photos with a long exposure then you will have a blurry picture, the use of image stabilization may help if you are standing still or even the use of a tripod may help, however when shooting wildlife in most cases the use of a tripod is rarely an option. Also when shooting at faster shutter speeds which is always the preferred method for shooting wildlife at least for me is that you must understand that the shorter time of the shutter being open meaning a faster shutter speed also means that you may freeze the motion of the animal to get a clear photo but you will need to learn a little about ISO meaning image sensitivity which controls how sensitive your' camera's image censor on your' camera is to light, and another little thing known as aperture size which are a couple of things I plan on writing about later because if your' shooting at a high shutter speed and your' aperture is set to a small diameter or your' ISO is set at too small of a number then you run the risk of an underexposed photo meaning the photo will be to dark. However with this being said you must also take some other factors into the equation such as "does your' camera allow you to adjust these controls? ", "are you shooting in low light conditions such as early morning or late evening? ", or perhaps you are shooting in low visibility such as fog or mist? ", all of these conditions usually apply to shooting wildlife because it is usually prime time for wildlife movement, and remember you will more than likely be shooting wildlife without a flash, if you plan on getting very many shots anyway. I rarely ever use a flash unless I am shooting something indoors on a rare occasion, and in order to shoot in low light without a flash you must use a camera that has a high ISO capability, so keep this in mind also when you are thinking about what type of camera to use to photograph wildlife, this also brings up another issue that you will soon face while photographing wild life and that is the ability to bring the animal up close and they are two things that can make that happen and one is what is known as a super zoom camera and the other is an SLR camera with a telephoto lens with a focal length of 300mm or more. This post is really geared toward the very beginner who has an interest in wildlife photography and has no idea where to start or what they need so there will be more posts here suited just to help you learn from the beginning because I was there at one time my self and I remember trying to find all the info I could, now getting back to the topic of shutter speed, if you notice in photo A the photo is kind of blurred do to not a high enough shutter speed and in photo B the photo came out clear due to a higher shutter speed, just click the photos to enlarge them and click the Post Here button below and scroll down to post in this blog. 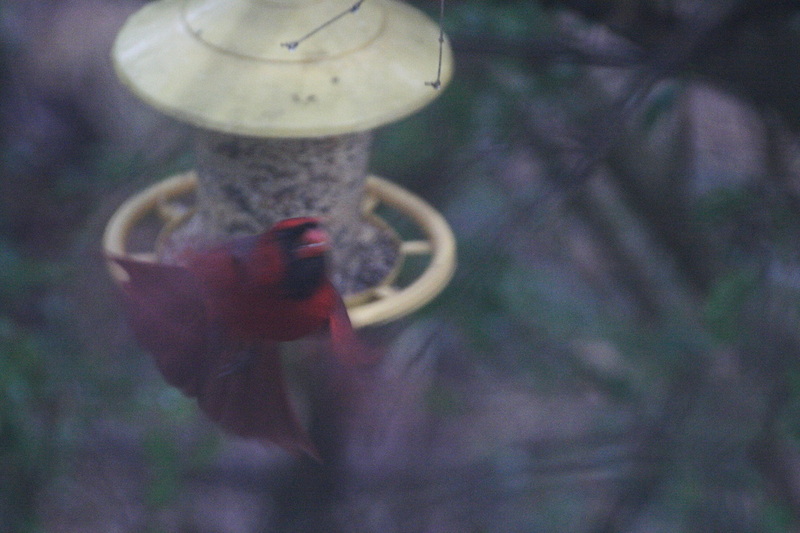 "Photo A" - Shutter Speed=220, notice the blur in the wings at this low shutter speed. Camera Used- Fujifilm Finepix S3280 super zoom digital camera. 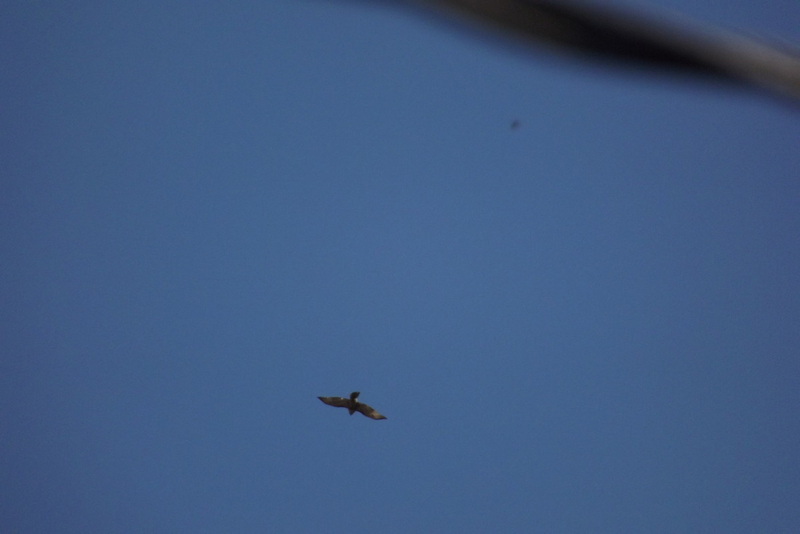 "Photo B"- Shutter Speed=1100, notice the crystal clarity of the hawk in the sky. Camera Used - Camera Used- Fujifilm Finepix S3280 super zoom digital camera. This is the section that all post about macro photography may be posted in, it does not matter if you are professional or amateur or are just curious about wildlife photography, you are welcome to post here, just be kind and polite as you would wish others to be to you. This is the category that all post about landscape photography may be posted in, it does not matter if you are professional or amateur or are just curious about wildlife photography, you are welcome to post here, just be kind and polite as you would wish others to be to you. This is the section that all post about cameras, lenses, and camera accessories may be posted in, it does not matter if you are professional or amateur or are just curious about wildlife photography, you are welcome to post here, just be kind and polite as you would wish others to be to you. Notice: All Photography And Nature website banners, photos, and logos of this website are the sole property of it's rightful owner, and all photographs belonging to the administrator of this website are also property of their rightful owner and it is illegal to copy, link to, or download them without the written permission from it's rightful owner.